I'm 33. I am modeling in India. I am trying to find for an agency representation abroad. I wish to do TFCD also. I am available as an actor as well as a model. I am especially interested in modeling for a print and glamour. I have a feeble red mark on my hand. I am also a Civil Engineer and I have completed my MBA. 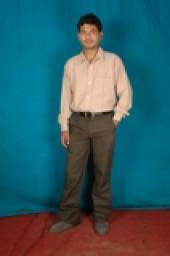 Presently I am working as Associate professor in a college at Tirupati. My hobbies include singing and Dancing. I have been modelling since 2007.I can change my expressions in my face very quickly. I am an extravert and i travel a lot to various places in India. I read books extensively and I watch Television in my free time. Modelled (for a Poster) for Magnus School of Business. Thank you for the add. Thank you also for the kind words. Good luck with your future projects!